Joseph F. T. Nese is a Research Associate at Behavioral Research and Teaching at the University of Oregon. Formerly, he was an Institute of Education Sciences postdoctoral research fellow. He received his Ph.D. in school psychology from the University of Maryland in 2009. He has experience in research methodologies such as multilevel modeling (e.g., growth curve and hierarchical linear modeling), structural equation modeling (SEM), and item response theory (IRT). 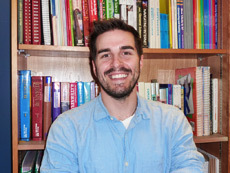 His primary research interests are using advanced statistical techniques to measure and monitor student academic growth, and linking assessment to intervention through IRT modeling.